This scholarship began in 2018 in memory of Becky Kassian. 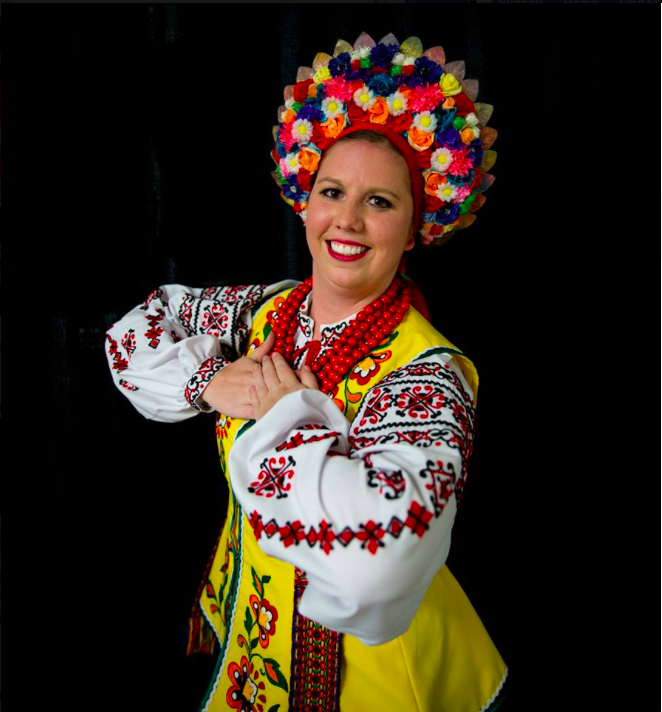 The scholarship is awarded to a dancer in the senior group of the Edmonton School of Ukrainian Dance where Becky taught. The recipient of the scholarship is chosen by their peers and instructors based on the qualities Becky embodied in the studio. The scholarship is presented annually at the Edmonton School of Ukrainian Dance year-end recital. Becky Kassian, a Vohon dancer, passed suddenly on November 11, 2017 due to complications following knee surgery. Becky Kassian was a beloved member of our Vohon family. When Becky became a member of Vohon in 2011, she quickly became an integral part of the ensemble; her devotion shone brightly both on and off stage. She was often found assisting with stage production, volunteering at fundraisers, assisting new dancers with choreography, and lending support to anyone who needed it. In the time Vohon had with Becky, she was known to be diligent, passionate and hard working. Even injured, she made an effort to be at rehearsals to watch, encourage, and learn. Becky is remembered fondly as a friend, sister, and fellow dancer in every movement, every emotion, and every final bow we take. Her love for her Vohon family and warm spirit will continue on in our hearts.